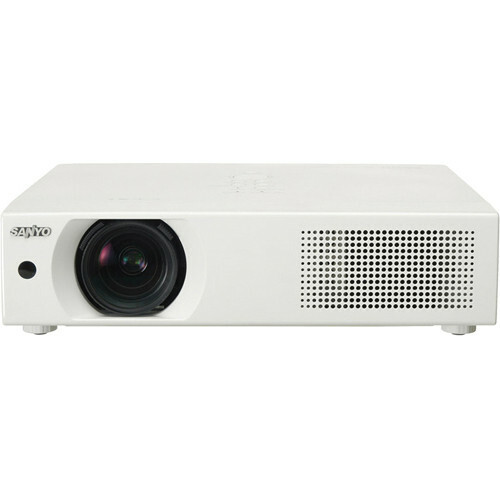 The Sanyo PLC-XU105 projector is equipped with classroom and business friendly features. This three panel LCD projector has true XGA resolution and 4500 ANSI Lumens of brightness for crisp and clear presentations. The light output from this projector can either fill a big screen or light up a dark blackboard. Sanyo's Blackboard Mode automatically adjusts the image's white balance and gamma to project an image on just about any surface. The variable audio out is a convenient feature that allows the user to control the audio level right from the projector. This centralization of video and audio controls helps in educational applications by ensuring the technical quality of the presentation and eliminating the fuss of separating outside audio controls.